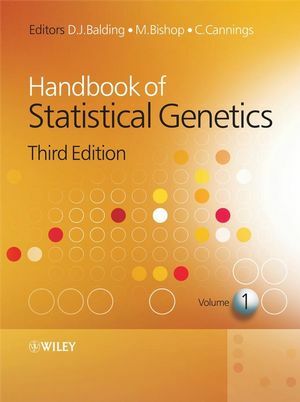 The Handbook for Statistical Genetics is widely regarded as the reference work in the field. However, the field has developed considerably over the past three years. In particular the modeling of genetic networks has advanced considerably via the evolution of microarray analysis. As a consequence the 3rd edition of the handbook contains a much expanded section on Network Modeling, including 5 new chapters covering metabolic networks, graphical modeling and inference and simulation of pedigrees and genealogies. 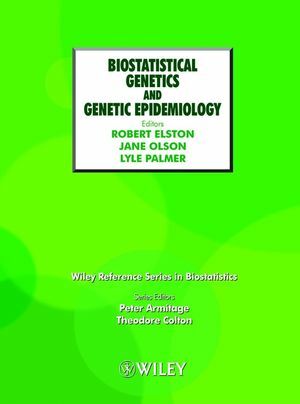 Other chapters new to the 3rd edition include Human Population Genetics, Genome-wide Association Studies, Family-based Association Studies, Pharmacogenetics, Epigenetics, Ethic and Insurance. As with the second Edition, the Handbook includes a glossary of terms, acronyms and abbreviations, and features extensive cross-referencing between the chapters, tying the different areas together. With heavy use of up-to-date examples, real-life case studies and references to web-based resources, this continues to be must-have reference in a vital area of research. Edited by the leading international authorities in the field. 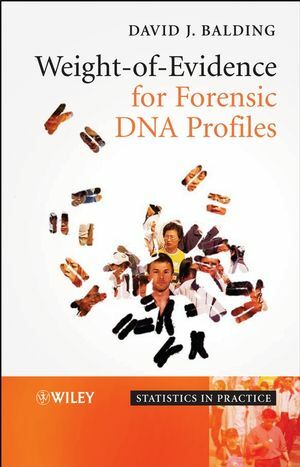 An advisor for our Probability & Statistics series, Professor Balding is also a previous Wiley author, having written Weight-of-Evidence for Forensic DNA Profiles, as well as having edited the two previous editions of HSG. With over 20 years teaching experience, he’s also had dozens of articles published in numerous international journals. As well as the first two editions of HSG, Dr Bishop has edited a number of introductory books on the application of informatics to molecular biology and genetics. He is the Associate Editor of the journal Bioinformatics and Managing Editor of Briefings in Bioinformatics. With over 40 years teaching in the area, Professor Cannings has published over 100 papers and is on the editorial board of many related journals. Co-editor of the two previous editions of HSG, he also authored a book on this topic. Editor’s Preface to the Third Edition. T.P. Speed and H. Zhao. 1.5 Other Physical Mapping Approaches. 2 Statistical Significance in Biological Sequence Comparison. W.R. Pearson and T.C. Wood. 2.2 Statistical Significance and Biological Significance. 2.3 Estimating Statistical Significance for Local Similarity Searches. 2.4 Summary: Exploiting Statistical Estimates. 3 Bayesian Methods in Biological Sequence Analysis. Jun S. Liu and T. Logvinenko. 3.2 Overview of the Bayesian Methodology. 3.3 Hidden Markov Model: A General Introduction. 3.4 Pairwise Alignment of Biological Sequences. 3.6 Finding Recurring Patterns in Biological Sequences. 3.7 Joint Analysis of Sequence Motifs and Expression Microarrays. Appendix A: Markov Chain Monte Carlo Methods. 4 Statistical Approaches in Eukaryotic Gene Prediction. 4.1 Structural Organization and Expression of Eukaryotic Genes. 4.2 Methods of Functional Signal Recognition. 4.4 Prediction of Donor and Acceptor Splice Junctions. 4.5 Identification of Promoter Regions in Human DNA. 4.6 Recognition of PolyA Sites. 4.7 Characteristics for Recognition of 3-Processing Sites. 4.8 Identification of Multiple Genes in Genomic Sequences. 4.9 Discriminative and Probabilistic Approaches for Multiple Gene Prediction. 4.11 Recognition of Flanking Exons. 4.13 Using Protein Similarity Information to Improve Gene Prediction. 4.14 Genome Annotation Assessment Project (EGASP). 4.15 Annotation of Sequences from Genome Sequencing Projects. 4.16 Characteristics and Computational Identification of miRNA genes. 4.17 Prediction of microRNA Targets. 4.18 Internet Resources for Gene Finding and Functional Site Prediction. J. Dicks and G. Savva. 5.5 Gene Order and Content. 5.7 Conclusions and Future Research. Part 2 BEYOND THE GENOME. 6 Analysis of Microarray Gene Expression Data. W. Huber, A. von Heydebreck and M. Vingron. 6.2 Data Visualization and Quality Control. 6.3 Error Models, Calibration and Measures of Differential Expression. 6.4 Identification of Differentially Expressed Genes. 7 Statistical Inference for Microarray Studies. S.B. Pounds, C. Cheng and A. Onar. 7.3 Testing the Association of Phenotype with Expression. 7.7 Study Design and Sample Size. 8 Bayesian Methods for Microarray Data. A. Lewin and S. Richardson. 8.2 Extracting Signal From Observed Intensities. 8.4 Clustering Gene Expression Profiles. 8.5 Multivariate Gene Selection Models. 9 Inferring Causal Associations between Genes and Disease via the Mapping of Expression Quantitative Trait Loci. S.K. Sieberts and E.E. Schadt. 9.2 An Overview of Transcription as a Complex Process. 9.3 Human Versus Experimental Models. 9.4 Heritability of Expression Traits. 9.6 Multilocus Models AND FDR. 9.7 eQTL and Clinical Trait Linkage Mapping to Infer Causal Associations. 9.8 Using eQTL Data to Reconstruct Coexpression Networks. 9.9 Using eQTL Data to Reconstruct Probabilistic Networks. D.P. Klose and W.R. Taylor. 11 Statistical Techniques in Metabolic Profiling. M. De Iorio, T.M.D. Ebbels and D.A. Stephens. 11.2 Principal Components Analysis and Regression. 11.3 Partial Least Squares and Related Methods. 11.5 Neural Networks, Kernel Methods and Related Approaches. 12.2 Markov Model of Codon Substitution. 12.3 Estimation of Synonymous (dS) and Nonsynonymous (dN) Substitution Rates Between Two Sequences. 12.4 Likelihood Calculation on a Phylogeny. 12.5 Detecting Adaptive Evolution Along Lineages. 12.6 Inferring Amino Acid Sites Under Positive Selection. 12.7 Testing Positive Selection Affecting Particular Sites and Lineages. 12.8 Limitations of Current Methods. 13.2 The Structure and Function of Genomes. 13.3 The Organisation of Genomes. 13.4 Population Genetics and the Genome. 14 Probabilistic Models for the Study of Protein Evolution. J.L. Thorne and N. Goldman. 14.2 Empirically Derived Models of Amino Acid Replacement. 14.4 Heterogeneity of Replacement Rates Among Sites. 14.6 Variation of Preferred Residues Among Sites. 14.7 Models with a Physicochemical Basis. 14.9 Dependence Among Positions: Simulation. 14.10 Dependence Among Positions: Inference. 15 Application of the Likelihood Function in Phylogenetic Analysis. J.P. Huelsenbeck and J.P. Bollback. 15.4 Developing an Intuition of Likelihood. 15.5 Method of Maximum Likelihood. 15.7 Markov Chain Monte Carlo. 15.8 Assessing Uncertainty of Phylogenies. 15.9 Hypothesis Testing and Model Choice. 16 Phylogenetics: Parsimony, Networks, and Distance Methods. D. Penny, M.D. Hendy and B.R. Holland. 16.4 Methods for Inferring Evolutionary Trees. 17.2 Selection Response Under the Infinitesimal Model. 17.8 Theorems of Natural Selection: Fundamental and Otherwise. Part 4 ANIMAL AND PLANT BREEDING. 18 Quantitative Trait Loci in Inbred Lines. 18.3 Dissecting Quantitative Variation With the Aid of Molecular Markers. 19 Mapping Quantitative Trait Loci in Outbred Pedigrees. 19.2 Linkage Mapping via Least Squares or Maximum Likelihood and Fixed Effects Models. 19.3 Linkage Mapping via Residual Maximum Likelihood and Random Effects Models. 19.4 Linkage Mapping via Bayesian Methodology. 19.5 Deterministic Haplotyping In Complex Pedigrees. 19.6 Genotype Sampling In Complex Pedigrees. 19.7 Fine Mapping of Quantitative Trait Loci. 20 Inferences from Mixed Models in Quantitative Genetics. 21 Marker-assisted Selection and Introgression. L. Moreau, F. Hospital and J. Whittaker. 21.2 Marker-assisted Selection: Inbred Line Crosses. 21.3 Marker-assisted selection: outbred populations. 22 Mathematical Models in Population Genetics. 22.1 A Brief History of The Role of Selection. 22.2 Mutation, Random Genetic Drift, and Selection. 22.4 The Infinite Allele Model. 22.5 Other Models of Mutation and Selection. 23 Inference, Simulation and Enumeration of Genealogies. 23.3 The Identity Process Along a Chromosome. 24 Graphical Models in Genetics. S.L. Lauritzen and N.S. Sheehan. 24.2 Bayesian Networks and Other Graphical Models. 24.3 Representation of Pedigree Information. 24.4 Peeling and Related Algorithms. 24.5 Pedigree Analysis and Beyond. 26 Inference Under the Coalescent. 26.2 The Likelihood and the Coalescent. 26.4 Markov Chain Monte Carlo. 26.6 Software and Web Resources. 27 Linkage Disequilibrium, Recombination and Selection. 27.1 What Is Linkage Disequilibrium? 27.3 Modelling LD and Genealogical History. 28 Inferences from Spatial Population Genetics. 28.2 Neutral Models of Geographical Variation. 28.4 Inference Under the Different Models. 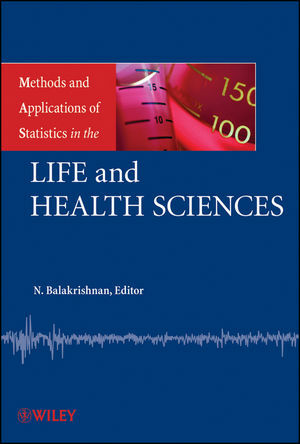 28.7 Integrating Statistical Techniques into the Analysis of Biological Processes. Appendix A: Analysis of Variance and Probabilities of Identity. Appendix B: Likelihood Analysis of the Island Model . 29 Analysis of Population Subdivision. 29.2 The Fixation Index F.
29.3 Wright’s F Statistics in Hierarchic Subdivisions. 29.4 Analysis of Genetic Subdivision Under an Analysis of Variance Framework. 29.5 Relationship Between Different Definitions of Fixation Indexes. 29.6 F Statistics and Coalescence Times. 29.7 Analysis of Molecular Data: The Amova Framework. 29.9 Related and Remaining Problems. 30.2 Estimating Effective Population Size. 30.5 Relatedness and Pedigree Estimation. 31 Human Genetic Diversity and its History. G. Barbujani and L. Chikhi. 31.2 Human Genetic Diversity: Historical Inferences. 31.3 Human Genetic Diversity: Geographical Structure. 32 Epidemiology and Genetic Epidemiology. P.R. Burton, J.M. Bowden and M.D. Tobin. 32.4 Studies Investigating Specific Aetiological Determinants. 33.3 The Development of Human Genetic Linkage Analysis. 33.4 The Pedigree Years; Segregation and Linkage Analysis. 33.5 Likelihood and Location Score Computation. 33.6 Monte Carlo Multipoint Linkage Likelihoods. 33.7 Linkage Analysis of Complex Traits. 33.8 Map Estimation, Map Uncertainty, and The Meiosis Model. 34.2 Pros and Cons of Model-free Methods. 34.3 Model-free Methods for Dichotomous Traits. 34.4 Model-free Methods for Analysing Quantitative Traits. 35 Population Admixture and Stratification in Genetic Epidemiology. 35.4 Testing For Linkage With Locus Ancestry. 36.5 Logistic Regression And Log-Linear Models. A.P. Morris and L.R. Cardon. 37.8 Prospects for Whole-Genome Association Studies. 38.7 Association in the Presence of Linkage. 39.2 Armitage–Doll Models of Carcinogenesis. K.D. Siegmund and S. Lin. 40.2 Technologies for CGI Methylation Interrogation. 40.3 Modeling Human Cell Populations. 40.5 Recapitulation of Tumor Progression Pathways. Part 7 SOCIAL AND ETHICAL ASPECTS. 41 Ethics Issues in Statistical Genetics. 41.1 Introduction: Scope of This Chapter. 41.2 A Case Study in Ethical Regulation of Population Genetics Research: UK Biobank’s Ethics and Governance Framework.